Calaméo - Trying to find some Dry Eye Relief? An Interview With the Leading Houston Eye Doctor. Trying to find some Dry Eye Relief? 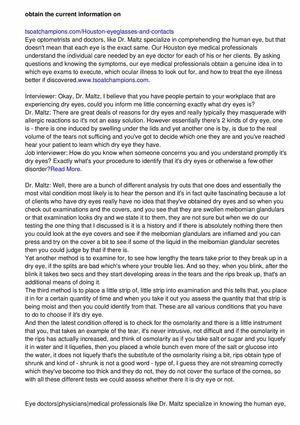 An Interview With the Leading Houston Eye Doctor.